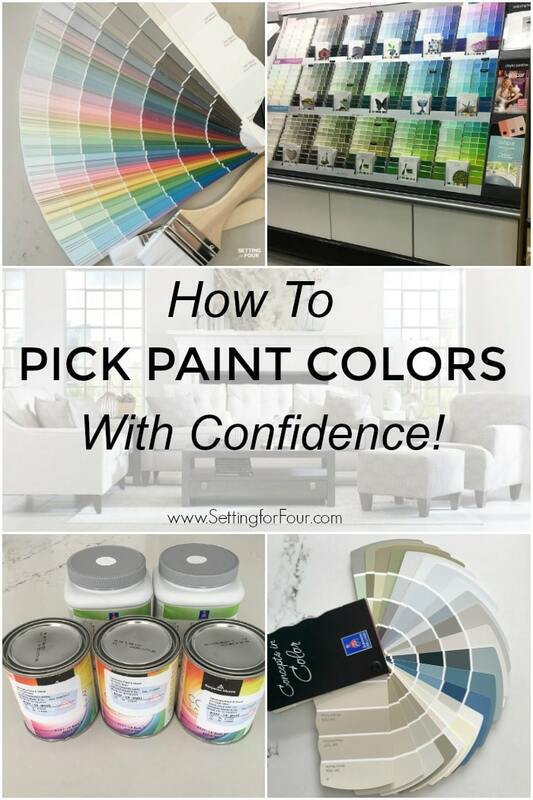 Learn how to pick paint colors with confidence and become a better decorator! Read this valuable decor lesson on how to pick the perfect paint color for any room in your home and exterior paint colors too! Stop guessing, stop decision paralysis and start enjoying a beautiful painted home! Do you get stuck when picking paint colors for your home? Have you pinned a ton of room paint colors but are still confused? Do you have decision paralysis and can’t choose a color? 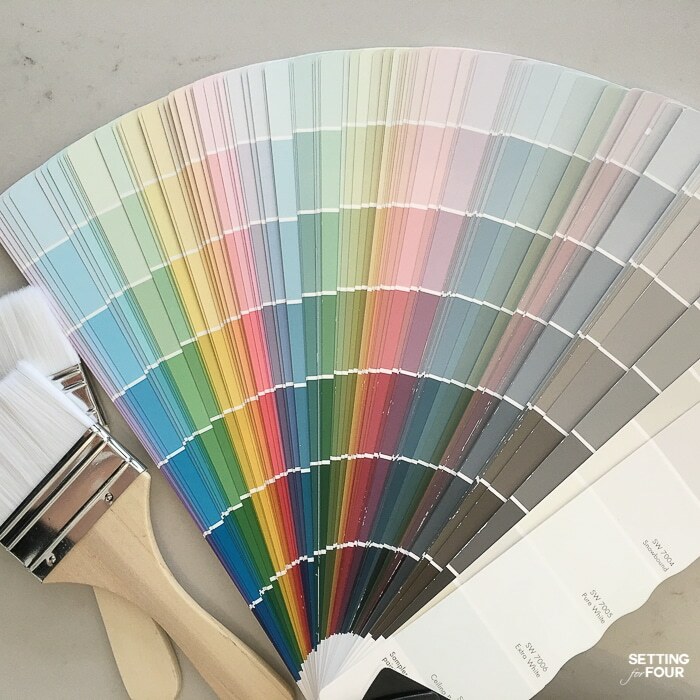 Do you collect lots of paint chips but can’t seem to choose just one? Don’t know which color will look great with your cabinets, decor and furniture? Picking a paint color can very tricky! There are so many different shades of paint colors and many paint brands – it can be confusing! Experts estimate that the human eye can see approximately 10 million colors!! No wonder it can be so difficult to pick just one for your space. Here’s my fool proof guide on how to pick paint colors with confidence – that works every single time! 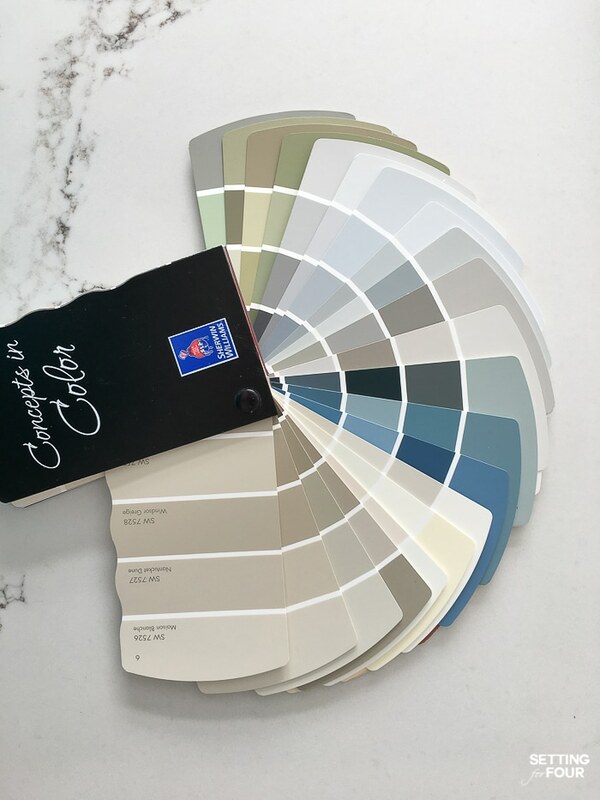 Today I’m taking the guesswork out of picking paint colors and showing you my method on how to narrow down and select the perfect paint color for any room inside your home and for exteriors! 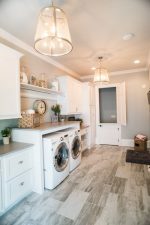 No more guessing on a color, no more paint selections that you hate after you’ve put all the work into painting, no more getting stuck and avoiding to paint the room! No more unpainted spaces in your home! In the past I have done that! I’ve collected dozens and dozens of paint chips for a room only to get absolutely confused! I’ve picked a paint color that I saw in a paint store or on Pinterest, then hated the color after I painted the whole room! I’ve also gotten so stuck and paralyzed in the selection process that the room has sat unpainted for months. And I’ve repainted rooms because I just didn’t know what was the right color to select and chose the wrong one! I bet you’ve done that too, we all have! Before sharing the DO’s of picking paint colors I’m going to share two really important Don’ts when it comes to picking a paint color! DON’T: Don’t buy paint at the paint store from a paint chip at their paint chip display. 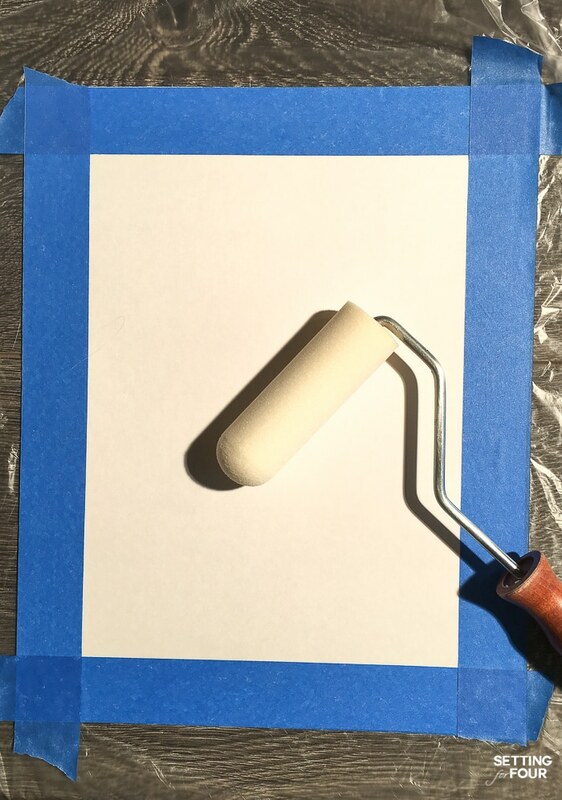 The lighting in a paint store will make the color on the paint chip look completely different compared to what the color will actually look like on your walls. DON’T: Don’t buy paint after seeing a paint color online on your computer, iPad or iPhone. Every computer monitor and device screen displays colors differently. The color will look completely different in your room! Color is a complex subject and picking one color out of all of the paint brands & colors available can be difficult and confusing! Should you pick a paint color that is light or dark? A bold saturated color or a neutral? A warm color or a cool color? Here are my tips for picking the perfect paint color for your you and your home! First you have to determine what the function of your room is. Is it a living room where you watch TV and entertain? A small kitchen that you want to feel inspired to cook in? A bedroom that you want to feel like a sanctuary? A welcoming front door? 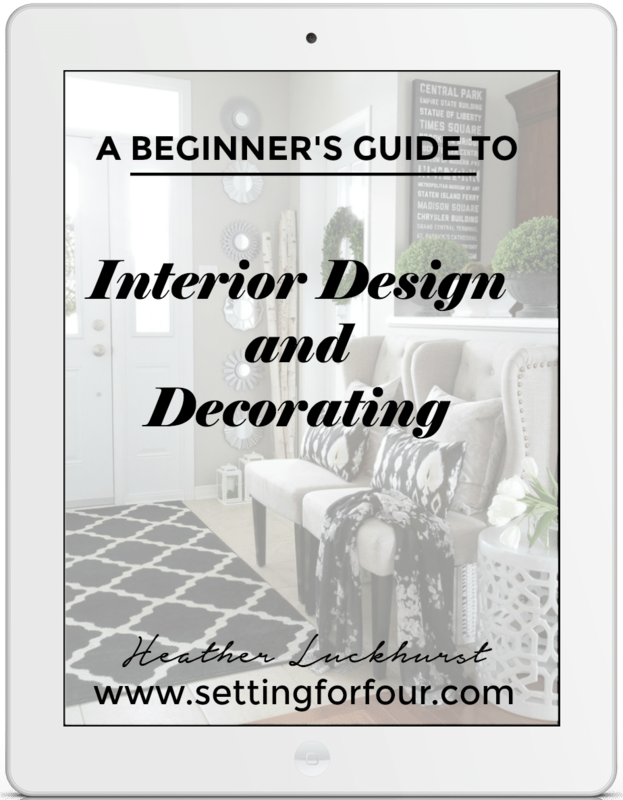 Decide if you want the color to go with furniture and decor that’s already in the room or are you starting with a paint color and then building the room around that? Keep in mind other paint colors in your home that are near the room you want to paint. Do you want the room’s color to blend in and be cohesive with the rest of the home or do you want the paint color to be completely different? Your closet – Do you have a piece in your closet that you love? Maybe its a deep inky navy top? Is your closet filled with mostly neutrals – grays, blacks, creams and whites? Then perhaps one of these colors is perfect for your space. Magazines – take a look at fashion and home magazines for inspiration. Have you seen a top in a fashion magazine with a color you are drooling over? Maybe a color in a decor magazine has caught your eye! 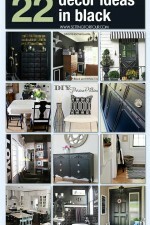 Pinterest – Of course Pinterest is an amazing place to find paint colors in rooms! Search for rooms and looks that appeal to you. Create a secret Pinterest board where you’ll pin your favorite interiors to. Check out my Pinterest page for inspo. Your birthstone – Yes! Your birthstone may be a fun way to be color inspired! My birthstone is sapphire – a paint color that I love! Model homes – Tour model homes to get fresh color ideas! These are colors picked by designers so you’ll see tried and true designer favorites and also color trends in model homes. Home Shows – Visit your local home shows for interior color inspiration. A friend’s home – Have you ever been to a friend’s home and just loved the color of her living room? Get the details from her – this color may just work in your home too! Influencers! Head on over to Instagram – there are so many inspirational rooms there! Message the influencer what color his/her room is! 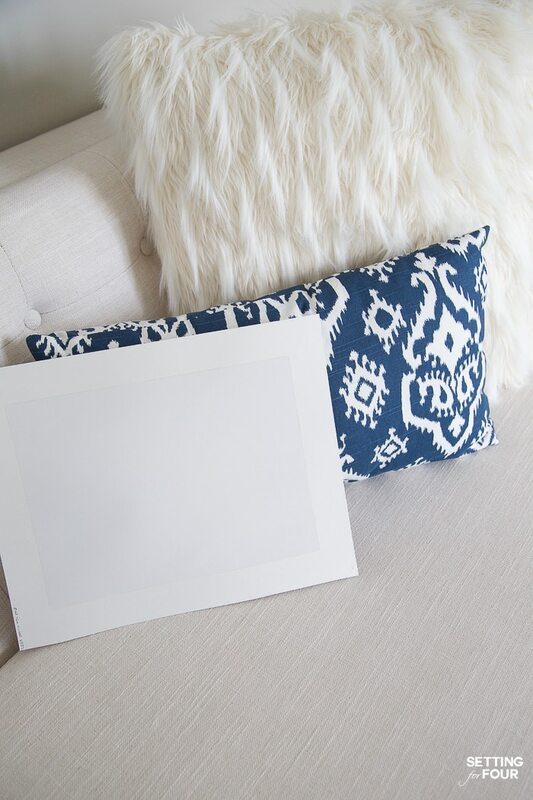 Follow me on Instagram where I share behind the scenes decor tips! 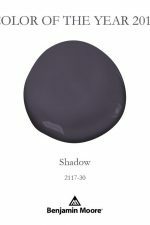 See all of my paint colors here. Pantone – every year Pantone selects a ‘color of the year’. 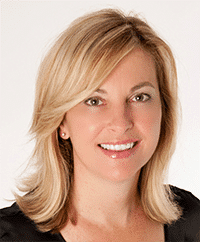 Color experts at Pantone dub one color as the newest color trend for the year. This year the Color of the Year is Living Coral! It’s a pretty pink-coral color. Maybe a coral paint color like this gorgeous Light Coral Sunset is one that you can add to your list of colors to try! Paint companies – Each year paint companies select a paint color as their ‘color of the year’. They also select a few supporting colors that will look good with it. This is a great way to be inspired by color! Behr’s Color of the Year is Blueprint, a gorgeous blue. PPG’s color of the year is Night Watch, a stunning deep green and Benjamin Moore’s color of the year is Metropolitan – a gorgeous gray. Art and area rugs are great ways to be color inspired because they tend to combine several colors that coordinate. See the 60-30-10 color rule to help you select your color this way. 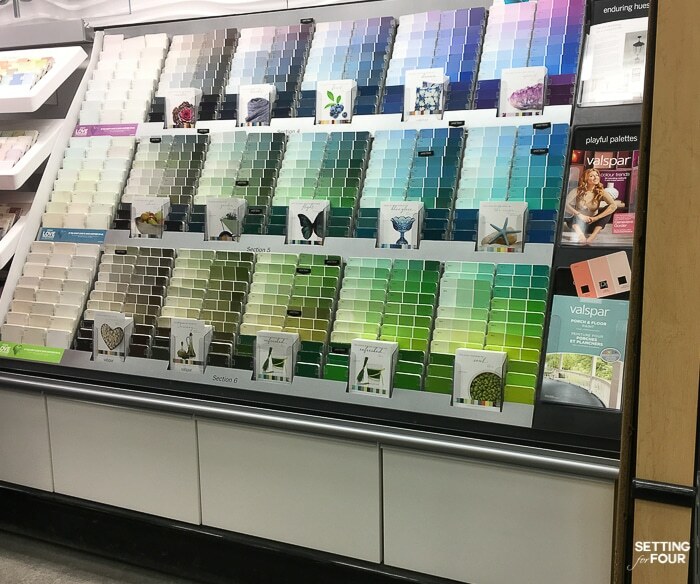 Buy paint fan decks so that you can research paint colors in your home from what the paint brands offer! I own many paint decks! One of my favorite paint brands is Sherwin Williams. You can buy a Sherwin Williams paint deck here, Benjamin Moore fan decks here and Behr paint decks here! Click on the images below to purchase your own paint decks! These are amazing color resources to have on hand! Go over the images you’ve collected and you’ll see a common theme. Are they all white rooms? Colorful rooms such as navy, green? Relaxing neutrals? You’ll find a few repeating colors that have caught your eye over and over again. Make a list of these and narrow them down to 3 or 4 colors. These will be the paint colors that you are going to test. Picking more than 4 paint colors to test will just be confusing so limit your test colors to 4. More on this later. 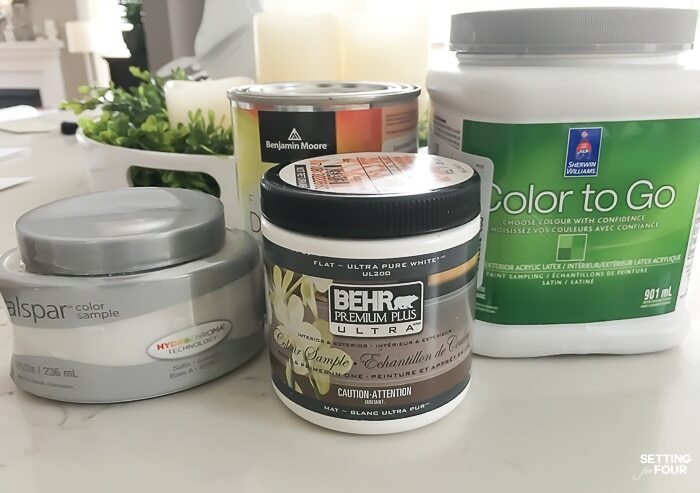 Head to your favorite paint stores and pick up sample sizes of these 3 – 4 colors that you will test in your home. 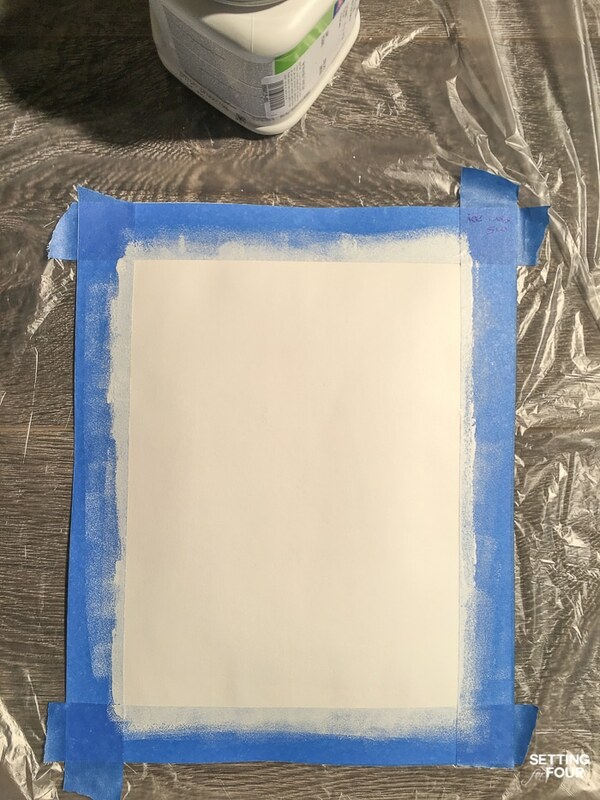 Add a strip of painter’s tape around the outside edge to create a white border. Do this to both sides of the sample board. 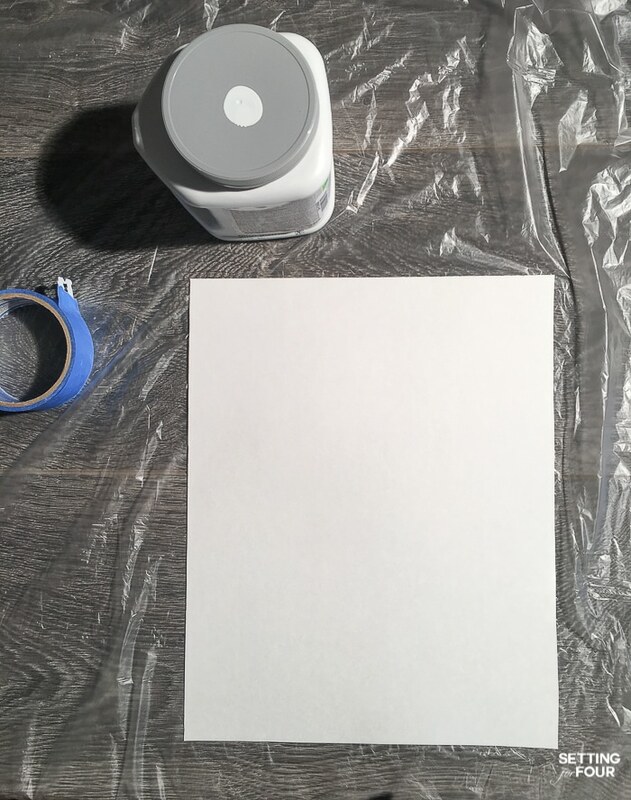 Paint one side of the poster board with two coats of paint using a small foam roller. Let dry. Repeat on other side. Let dry. 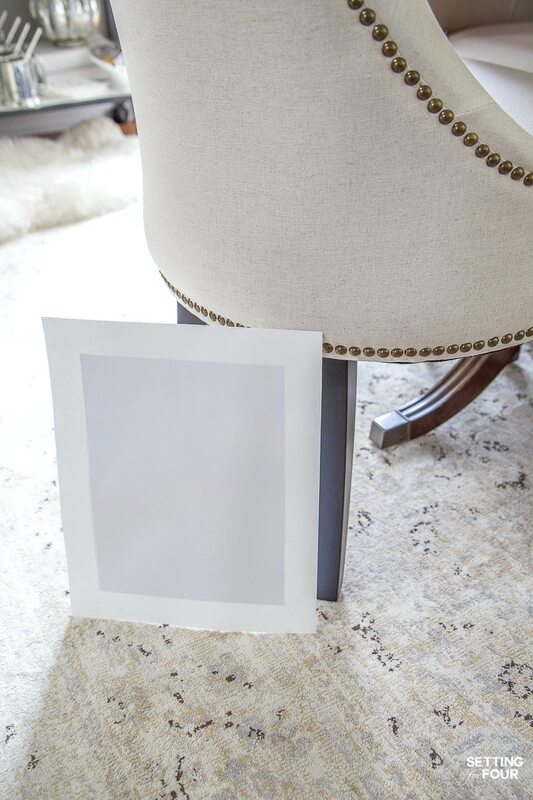 A white boarder will surround the paint color – this will help you see how the color looks in your space. Write on one side of the sample board the paint brand, color name & number for reference. Take the paint sample boards into the room and look at each one separately. Look at the color in the morning, afternoon and evening. 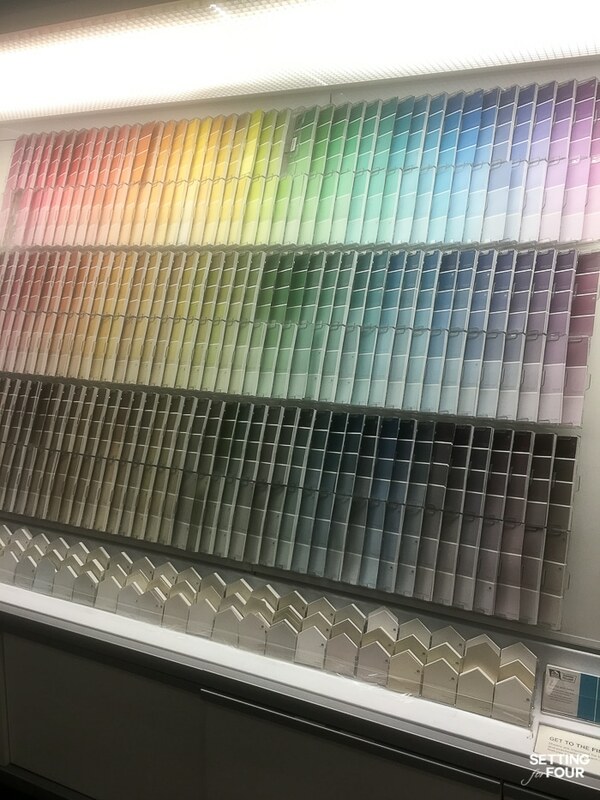 Move the paint sample board around the room and look at it on each wall too. This will let you see the true color of the paint in your room, how it’s affected by your lighting, your flooring, your furniture finishes and the other colors that you have in your space. Lighting has a HUGE impact on color so any color you see in a paint store will NOT LOOK THE SAME in your room! Also if you found an interesting paint color online on your computer, iPad or iPhone, the color will look different in your home. Every computer monitor and device screen displays colors differently. Compare the paint color with the color of your carpeting, tile, hardwood flooring, trim color, cabinets, furniture, fabrics and accessories. Color affects color – so a paint color will look differently depending on the other colors in the space. Prop the paint sample board on your furniture, against furniture legs, against pillows ect and look at the interplay of colors. Look for any color undertones that might appear during bright daylight, night time and in artificial lighting. Here’s another tip that I find really useful: When you are looking at the paint sample board look at it close up and also look at it from a distance! This is one thing that people forget to do. Looking at a sample board several feet away will let you really see how the color behaves in the space! Repeat this trial with your other paint sample boards. One color will definitely jump out at you as the perfect one and the best fit for your room! However if you don’t like any of them – go back to the ‘Narrow It Down’ step and pick 3 or 4 more colors to test. I’ve had to do this myself because you never know how a color is going to behave until you test it in your room! 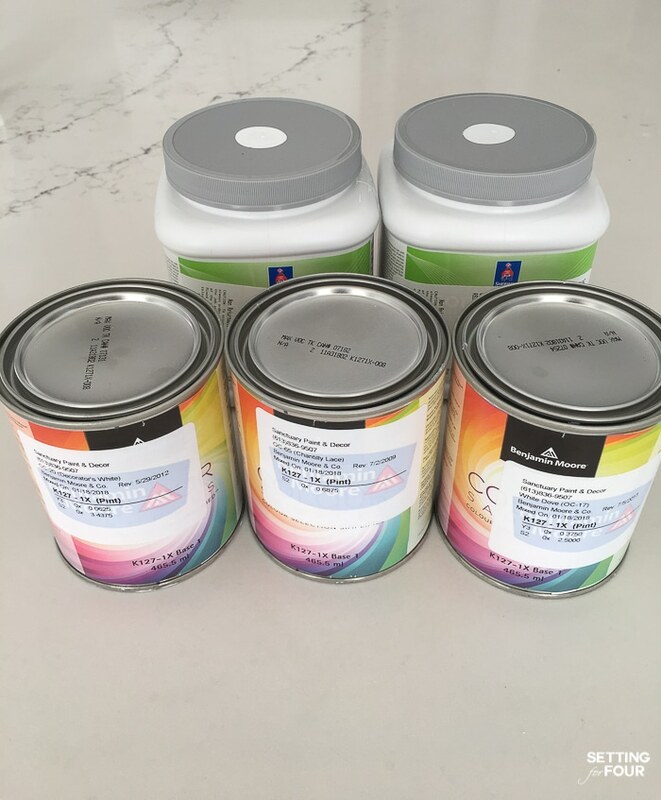 Once you’ve tested your sample colors and picked one you can head out and buy the paint! Make sure to buy enough for 2 coats and for the square footage of the room. Buy paint in the sheen that’s best for your space. Use this FREE sheen selector guide with printable. 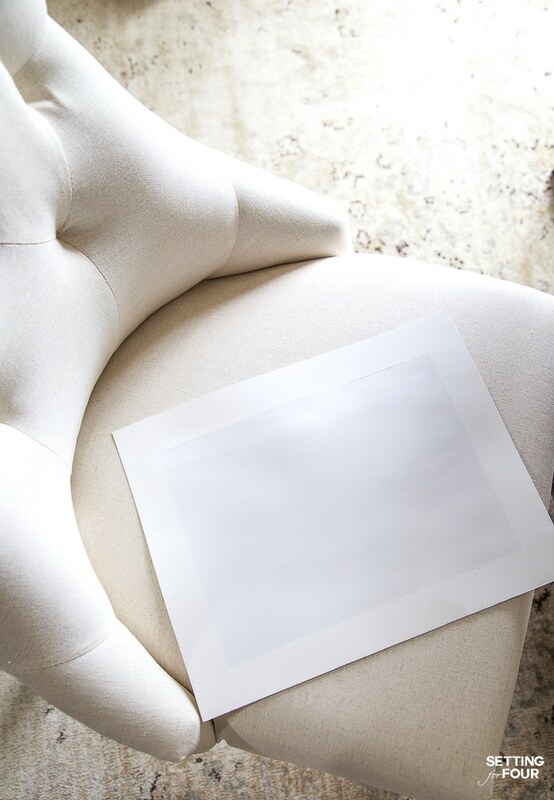 Record your paint color on this handy Paint Color Tracking Sheet. Don’t feel like a failure if you hate the color after it’s on the walls and dried. Sometimes a paint color will still not look as you had expected once its on the wall. Paint color is affected by so many things: it’s sheen, natural and artificial light, the geographic area you live in, whether it’s a north facing or south facing room and by the furniture, wood color and fabrics in a room! It happens to all of us!! If you hate it, wait a few days and see if it grows on you, it just might! If you still hate it after a few weeks – go ahead and repaint. After all – it’s only paint and life is too short to live with a wall color you hate! Trust me these surprises can happen to anyone! 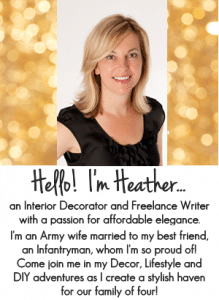 If you are still stuck, ask me about my online Interior Decorating services and color consulting! I’ve helped many people choose colors for their home! Email me at [email protected] for more information. Paint is one of the cheapest and easiest way to decorate your home! Use these steps to pick paint colors with confidence and create a home you love! Happy Painting! PIN THIS TO REFER TO LATER!